Today’s digital world provides marketers the ability to capture and record, measure and analyze, as well as report most anything. Conversions, clicks, business drivers, attrition and value destroyers are all fair game. So, with all this going on, how do companies stay competitive? Knowing where potential customers shop or the brand they are looking to wear is just not enough anymore. The key to being competitive is having the ability to understand exactly why customers make the decisions and choices they do, their feelings about their decisions and their experience they have engaging with your company. Once a company has this understanding, it really gives them that extra push of being able to finally predict their potential customers behaviors so they can manage their potential customers’ experiences positively. With customer analytics, this goal is very well reachable these days. Customer analytics is the process and technology that provides businesses important customer insight to effectively deliver timely, relevant and anticipated offers. It is the process of taking customer data and analyzing it to determine the underlying behaviors, patterns and insights. It comprises of different techniques like data visualization, predictive modeling and information segmentation and management. It is what builds comprehensive customer intelligence systems. But, why is customer analytics so important? Companies can learn customer insights on purchase patterns through customer analytics. These patterns can even be season to season purchases. For example, if your business is in clothing retail, wool will not be selling during the summer but more appropriately during the winter season. Customer analytics can provide you with what potential customers value the most, what their needs are, their expectations or their preferences. You can then tailor your products and services accordingly to these specifications. Whether it is quantity, quality or convenience, your customers’ values are where you must keep your focus. Extracting this type of data is not that hard, but putting it into action might be the better task. 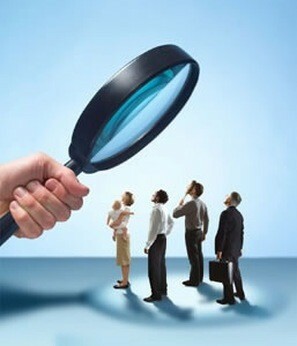 It helps businesses measure key performance indicators or (KPIs) such as customer loyalty or customer satisfaction. Should any fall below the mark, changes will need to be made. Customer analytics, like what is offered at Mindshare Technologies, help to analyze the behavior of customers so marketers may optimize their different marketing strategies. Customers are way more connected and empowered than ever. They have information at their fingertips anywhere and anytime on what where to go shopping, what they are going to buy and how much they will pay. This makes it very important to understand your customers’ behavior while they are engaging with your company so you can act accordingly. This could be using tools like the Mindshare Voice of Customer services which involves voice of the customer (speech to text analytics) or other tools which will enhance the customers’ experience. The more you have this understanding of the buying habits of your customers and their preferences, the better you can predict future purchasing behaviors and therefore deliver relevant offers that will attract more customers.